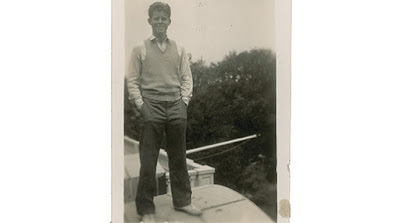 Never before seen photos of JFK as a teenager. Five photos of John F. Kennedy in his school days, including two shots never before seen by the public, are currently up for grabs in an online auction. 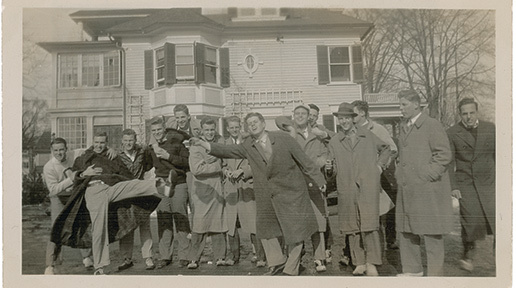 Organized by Boston-based RR Auction, the online lot contains candid photos of the future president as he jokes around with his friends during high school as well as more formal shots of his graduation day from the elite Choate prep school. Taken during the early to mid-1930s, when Kennedy was between 14 and 18 years old, the exclusive snaps show JFK the joker, the young man whose father did not think he would be a presidential candidate. 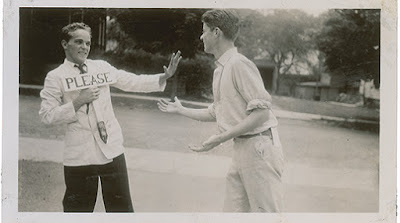 A playful image of Kennedy with his roommate Rip Horton as members of Choate’s drama club during a rehearsal. One unique aspect of these photographs, however, is their origin – they come from the family’s own photo albums. 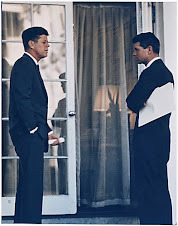 JFK’s father, Joseph P. Kennedy, took the photos from the family’s scrapbook and delivered them to biographer Gene Schoor in 1961 while the writer was working on “Young John Kennedy,” published in June 1963. 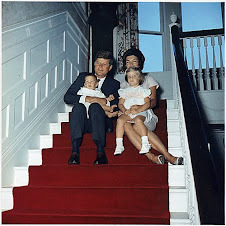 The photos were pulled from the Kennedy family scrapbook with traces of the glue still on the backs as well as typed captions of who’s pictured and when they were taken. 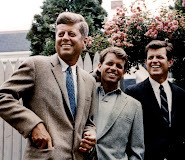 Photo caption of JFK and his high school friends. Image credit: RR Auction. The lot even contains the typed memo on official White House letterhead sent from Joseph Kennedy to Schoor when he forwarded on the photos. “From: The personal diary of Pres. John F. Kennedy scrapbook & photo material given Gene Schoor by [J.F.K. crossed out] Amb. 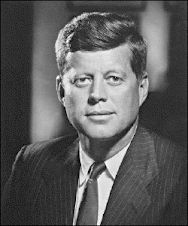 Joe Kennedy at the White House, January 1961,” the memo reads. A typed memo on official White House letterhead. Images credit: RR Auction. 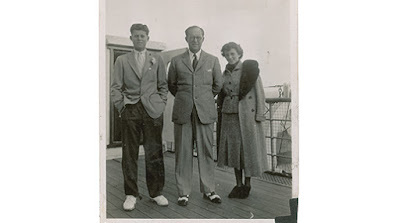 Schoor only used three of the photos in his biography, however, meaning that two of the lot have never before been seen in public: a photo of Kennedy with his father and a sister – ‘Kick' on the deck of a ship; and one of Kennedy with many of his friends at the prestigious Choate in Connecticut, including Lem Billings (who would later work on his campaign) and Bud Wynne. “An absolutely outstanding, one-of-a-kind collection of original material from Kennedy’s formative years,” said Bobby Livingston, Executive VP at RR Auction. 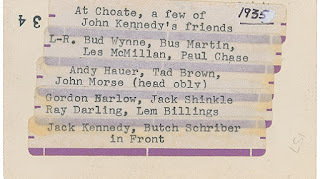 One of Kennedy with many of his friends at Choate, including Lem Billings and Bud Wynne. 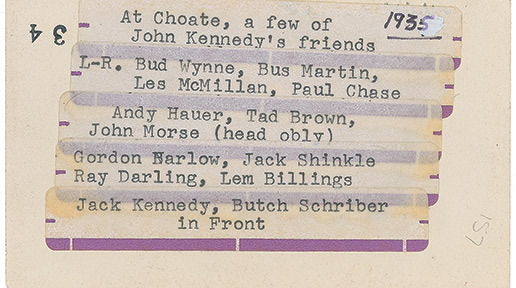 Kennedy was, in fact, seen as quite the jokester while he attended Choate, infamously setting off a firework in a school bathroom during his earlier years there. 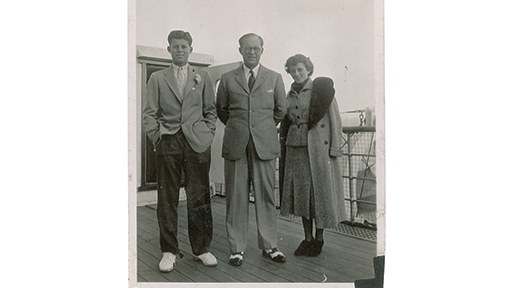 A photo of Kennedy with his father and a sister ‘Kick' on the deck of a ship. Image credit: RR Auction. That doesn’t mean he didn’t show some promise during his teenage years. 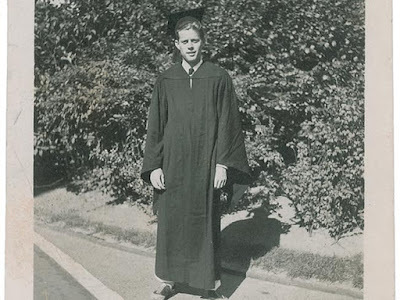 Despite his brushes with trouble, JFK was still voted “Most Likely to Succeed” by his classmates upon his graduation in 1935. The remaining photos include an image of him standing proudly in his robe on graduation day. as well as a full-length image of JFK atop the roof of the Kennedy estate in Palm Beach, FL in 1935; and a playful image of Kennedy with his roommate Rip Horton as members of Choate’s drama club during a rehearsal. 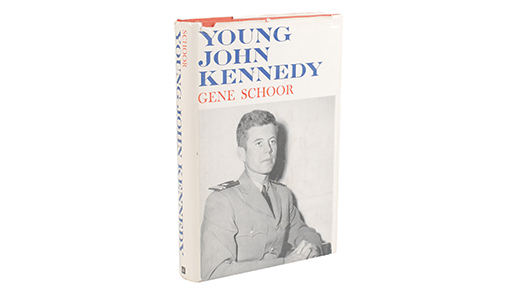 The complete lot includes a first edition hardback copy of Schoor’s book “Young John Kennedy” where three of the images were first published. A first edition hardcover of Schoor’s book Young John Kennedy. Image credit: RR Auction. The online bidding for the memorabilia began on August 19 and will continue until September 16. Anybody looking to purchase can place their bid at www.rrauction.com. At the time of writing, the bid stands at $363 for the lot, but it is sure to rocket in the coming days. The auctioneers are currently placing a conservative estimate of between $1,500 and $2,000 on the lot of photographs, book and memo but would not be surprised if that was greatly surpassed. 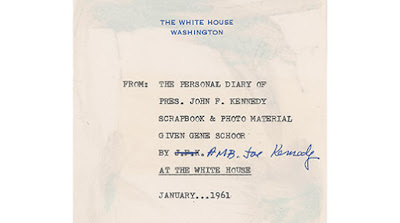 Previous Kennedy items auctioned by the company have earned bids up to $39,600.